The Stump and Varmint shoot scheduled for January 7, 2018 is canceled . 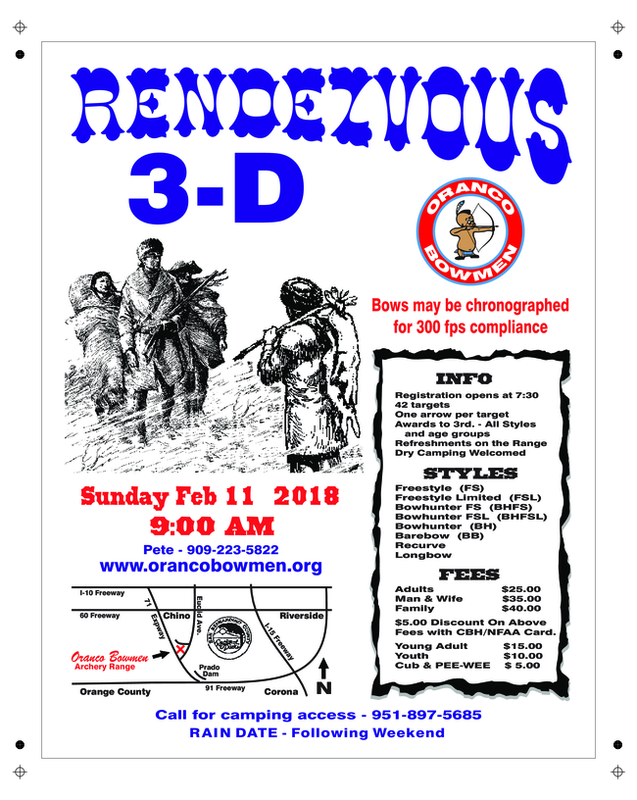 Our next invitational shoot is the Rendezvous on February 11, 2018. This shoot has been a lot of work at the wrong time of the year for me. Maybe we can find a suitable replacement at a different time of year. If you have any ideas or suggestions, please call me (909-223-5822), or let me know when you see me at the range. It would be nice if we had a novelty shoot of some sort that doesn't require hand painted targets. ANZAC? It's been a long time since we did that shoot, and I do know how to set it up properly, so we could eliminate problems of the past. Anyway, let me know if you have thoughts, and/or if you would like to help with it. Nothing to Report. See the email blast that was sent out (re-posted above). 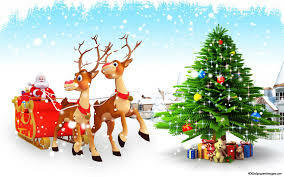 Hope everyone had a nice Christmas. You have until January 31, 2018 to turn in your game taken in the past year (2017). So far, I have gotten only one game card. I know we have more than one hunter in our Club (ORANCO). It’s a shame that we don't have more Members receiving real nice trophies. The trophies are for Members only. I am going to extend the date from January 31, 2018 to February 15, 2018 to turn in your game taken in 2017. The hunting is about over in CA The fires don't help, just don't start any. There are still PIGS and COYOTES open year around. Don't shoot any WOLVES. 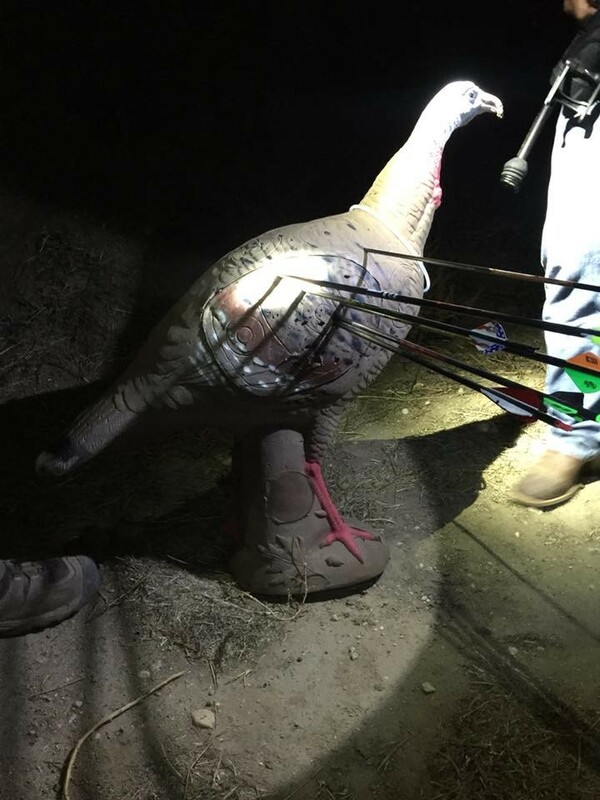 In the spring we have spring TURKEY, shoot TOMS only. Around MAY there are CARP to shoot in BIG BEAR LAKE and LAKE ELSINORE. Most small game are open all year. You need to check the CA GAME AND FISH REGULATIONS. When fishing with a bow and arrow you need a FISHING LICENCE and in salt water you need the extra stamp. In salt or fresh water, you CAN NOT shoot all fish, check the regulation, it is a must. Don't get caught shooting the wrong fish or animal, it can cost you a lot. AZ. deer and pigs are open for the 2018 hunt, check AZ regulations. Have good NEW YEAR and shoot straight. Scalps and Skins shoot dates have been chosen and are as follows. I will be making one of these shoots a night shoot as well. If anyone has anything they want to see at one of the scalps and skins shoots please get ahold of me somehow, I'm open to hearing members ideas. For those of you that haven't heard I will be doing a Team Toughman shoot in the future, this shoot will take place later in the year. This gives you plenty of time to find a teammate to compete with you. Check the website in the near future for info regarding this shoot. 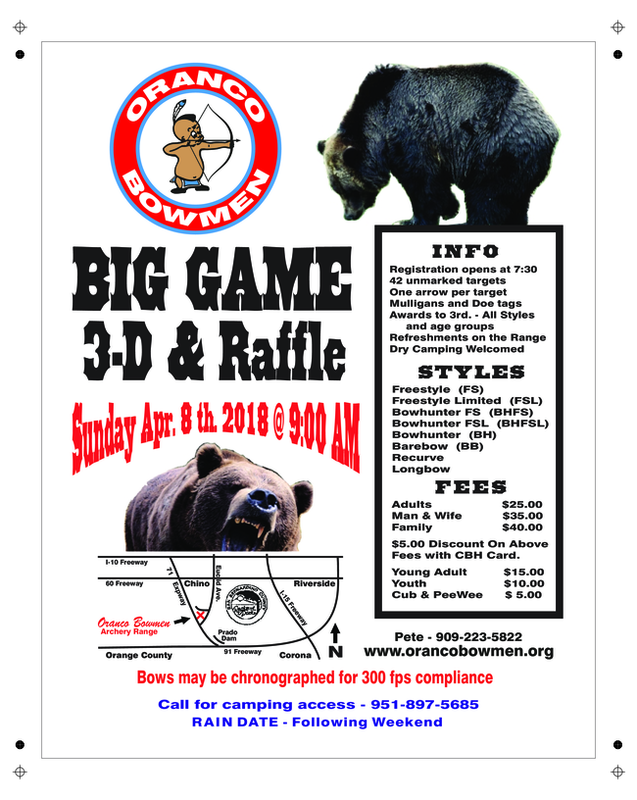 I have proposed for Oranco to hold the banquet at the range instead of going to a restraunt, banquet will be held on March 31st. Please keep an eye out for the banquet info and make sure you RSVP on time to take advantage of the $10 cost which in return you will be given 10 raffle tickets, if you dont RSVP and still want to come the cost will be $30. We will have a numerous raffle prizes on hand that you must be present to win. For those who have been watching or following the steps taken place on the Sniper cook shack. I had concrete delivered for the countertop pour which went south real fast. Concrete was delivered with alot of sand which wasn't allowing the water to rise and started setting up very fast. It had a very unusual texture to the mud which before it set up all the way I made the decision to tear it out. Luckily with the help from Steve Smith, Max Burk, and Joe Dotterer we were able to remove the bad mud before it set up. Thanks for all the help from those guys that day! I ended up calling the concrete company who I have had a good relationship with for years and they advised me there were 4 calls for complaints regarding the same issue I had, in the end they offered to replace the next delivery for free. I will be finishing the cook shack up when I get back from my AZ hunt. Just a reminder that board positions are open for anyone wanting to step up and get involved. I have nominated Amanda Duchardt to Secretary as well as Chris Levai to the tournament chair. Please show your support for them in anyway possible. Thanks for the continued support and for those who call me for new ideas to see different things done at Oranco shoots. 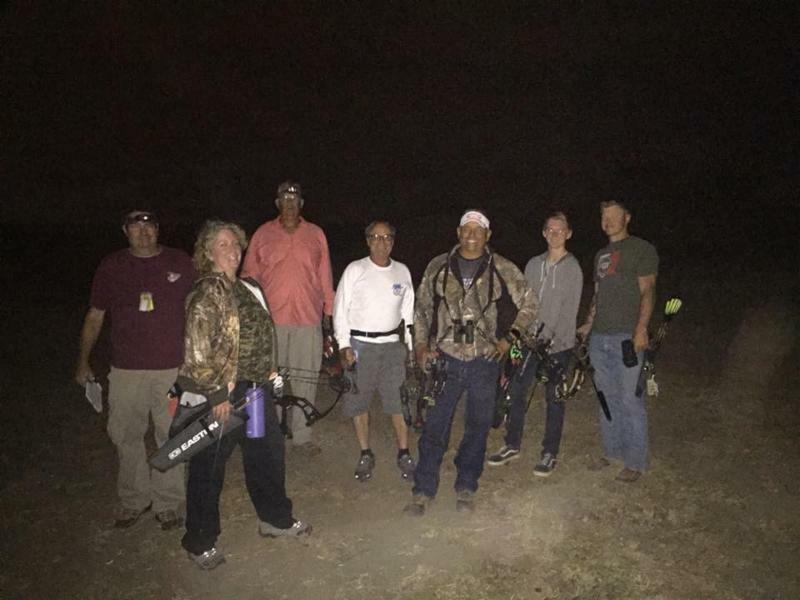 On November 11, 2017, the Oranco Bowmen (Chino, California) held a Scalps and Skins Night Shoot. The shoot started at 6:00pm after the sun had set and the sky was black. Jason Duysings was the brainchild and promoter of this event, and it was absolutely fantastic. 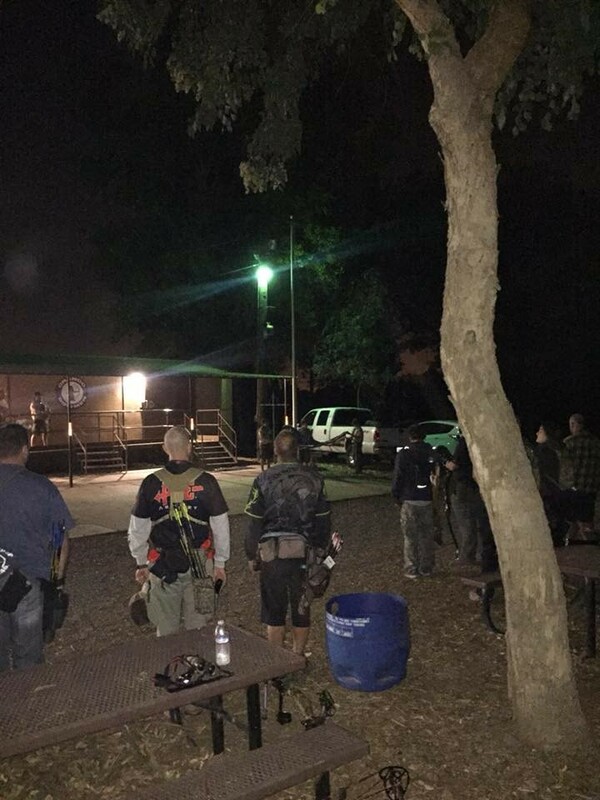 The only other place that I know of in Southern California that hosts a night shoot is Riverside Archers, theirs is called the Raccoon Shoot. 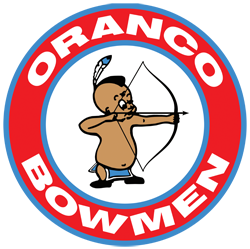 The best I can determine the Oranco Bowmen have not conducted a night shoot in at least fifteen years, maybe longer, maybe never. The shoot was a 24 target 3D shoot with one arrow shot at each target. ﻿There were two buck/doe combination shots (you have to hit the buck positioned behind the doe) and one, extra points, steel target. A steel target is a metal silhouette in the shape of an animal with a hole in it that you must shoot through to score points. If you miss and hit the steel most likely your arrow will be ruined. There is usually an option target with normal scoring for those who don’t want to risk an arrow. Last night it was a Javalina target at about twice the distance of the steel. No mulligans or doe tags were sold at this event. A local Boy Scout Troop was on hand and formed an Honor Guard that presented the raising of the flag and lead the Pledge of Allegiance. They also ran the food court to raise money for their troop. For those of you who have never been to a night shoot it is a lot of fun and a different kind of experience. You really need to know your equipment and be able to handle it in a dark environment. Yes, you can use flashlights, headlamps, and spotlights but it is still a challenge. Last night it was really dark with the waning crescent moon hiding somewhere. Targets at night shoots are usually fairly close, last night our furthest were probably forty yards but judging distance in the dark can be even more problematic than during the daytime. Surprisingly, finding missed arrows never seems to be a problem, they seem to be easier to fine under artificial light than sunlight, I don't know why. So after having shoot several of these events over the past decade here's what I can tell you. Be prepared before you come to the shoot. Make sure you know your equipment and that you have fresh batteries in you lights. Try to avoid looking directly in someone else light in the dark because it will take you time to recover what night vision you have. 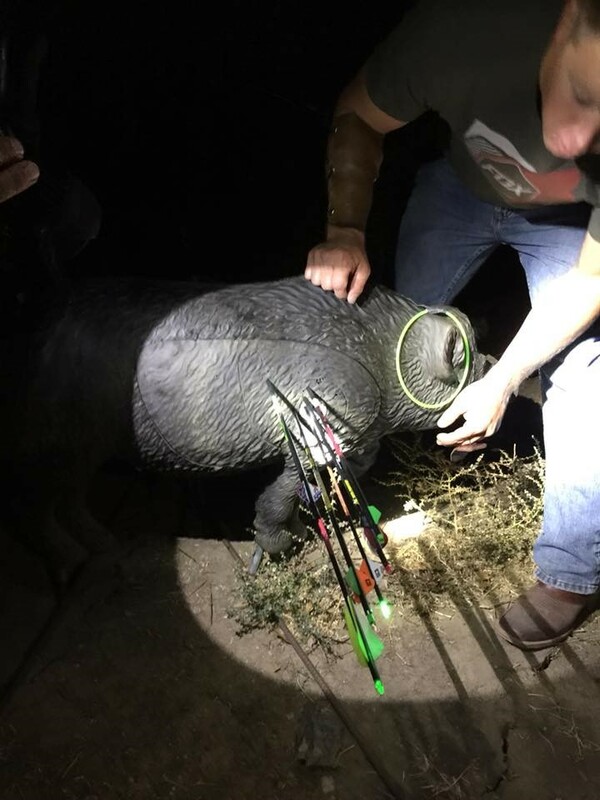 If you're shooting traditional equipment you're going to need some type of lighting not only illuminating your target but proving some light on you arrow shaft so you can see it in reference to the target. You may not be aware that you are seeing your arrow out of your peripheral vision when you're at full draw but you are. Shooters using sights will need their sights illuminated. Groups of shooters will usually work together holding lights for each other. 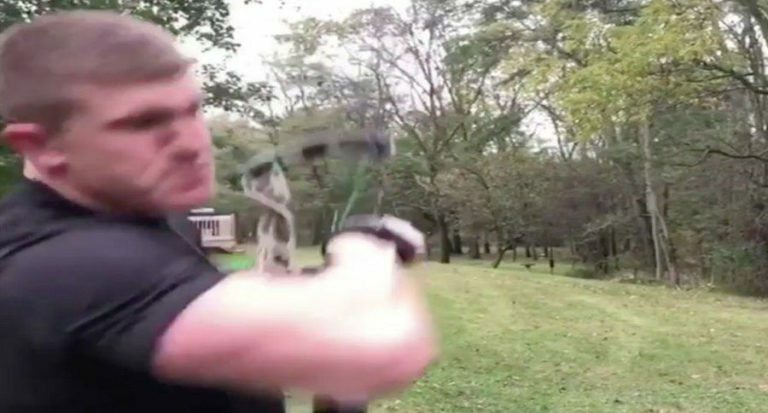 I have found that the best way to accomplish this is by somebody with a powerful light standing behind and slightly to the 0side of the shooter illuminating not only the target but the shooter's arrow. Lighter colored arrows seem to work better, black shafts are hard to see in the dark. If you ever get a chance to participate in a night shoot you should give it a try, it's a lot of fun and can be challenging. I did not take any pictures at last nights shoot so I borrowed a few from others posts just to give you some idea of what I'm talking about. Joe reported that there was some more maintenance work completed on the tractor. Concrete was poured for the cement under the picnic table. 10 Bow Racks were completed. There are now 4 spare Bow Racks. We had 15 adults attend the last work party. Joe was pleased as they were able to get a lot of work completed. There were 3-4 workers that showed up on Friday that helped out with cleaning up the range. Thank you to all of you who volunteered your time to help out the Club. 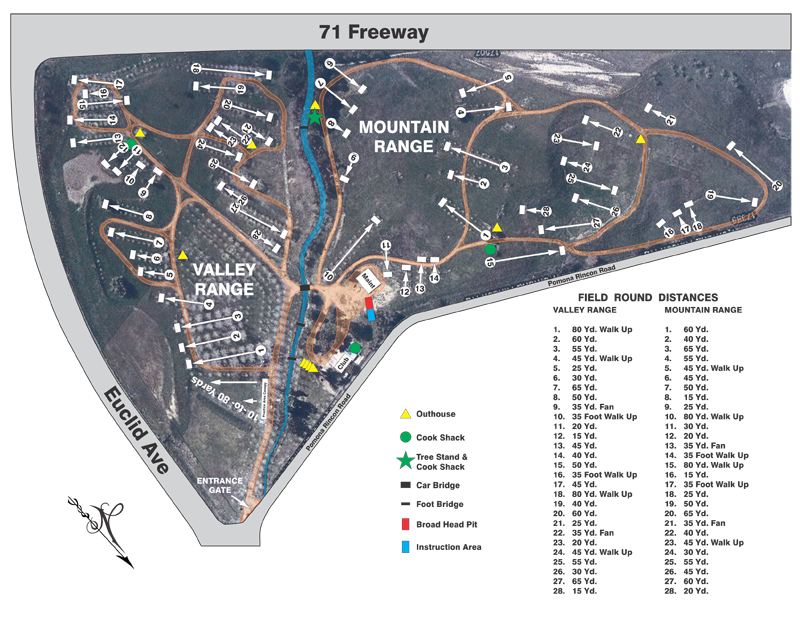 FITA Targets will be closed on Sundays from 8:30 am - 2:00 pm, while the range is open to the public. The range's water bill is down this year from last year. 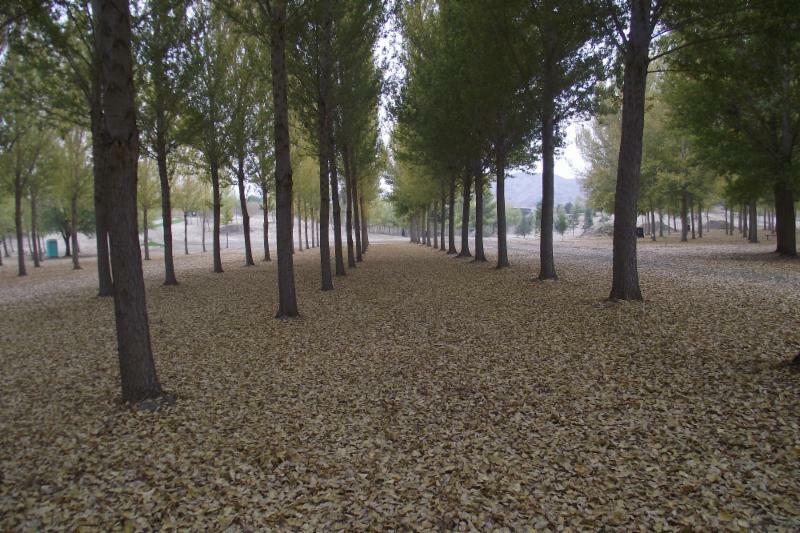 Joe has been talking with the tree trimmer guys in regards to removing some trees and cleaning up the assembly area. Pete stated that the Charity Shoot went very well. The new Registration process went smoothly and the team members present were able to catch 27 mistakes before shooters were actually released out onto the range. We ended up having 271 shooters at the Charity Shoot. We need more help with the Registration in order to help process people in an orderly fashion..
Bill mentioned people needed to turn in their Game Cards for Awards, He only has one Game Card turned in at this point. He needs them all turned in by January 31st 2018. Joe noticed that the cement at the Sniper Cook Shack looked different after it was poured, It appeared to have too much sand in the mixture. They had to completely tear it out. It was replaced for free as the cement company had other complaints as well. It will need to be reformed. There was discussion in regards to where we are going to hold the Annual Banquet this year. Chinese Restaurant again? Prado Golf Course? The Spaghetti Factory? Or at Oranco? A rather lengthy discussion was had in regards to the specifics as motions were put up for vote and either voted for or voted against. Details to follow. The issue regarding the restricted access to the Cook Shack was brought up for discussion again. The discussion revolved around either opening access to the Cook Shack to anyone vs. limited access to only the Cook Shack workers that are previously scheduled to work that specific day and time. There are some who feel that too many people in the Cook Shack at any one time results in reduced productivity and efficiency. It was discussed as to whether we re trying to run a business or if we are operating a Club. It was put up for a vote and it was decided that the Cook Shack will be limited to the Assigned Workers on Duty for that specific day. The Flint Captain announced the following dates for Future Scalps and Skins shoots in 2018: 2/24, 3/10, 3/31, 4/21, 5/12 - (Broadhead Optional), 6/16. One will be a Night Shoot - TBD. There was a discussion in regards to having a Youth FITA Event for kids on 5/5/2018. More information will be provided to the Board in order to finalize the planning of the event. A motion was made to close the Club on Christmas Eve, it was approved. 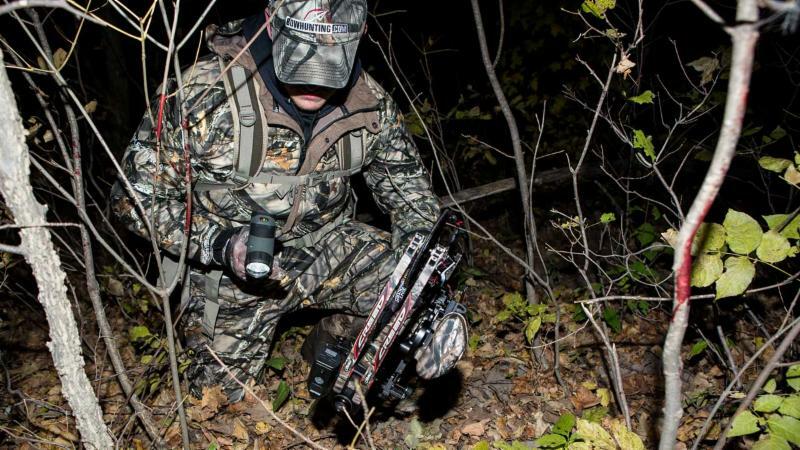 What Time Should You Get in Your Stand? It’s a question we spend far too long thinking about. I often spend a lot of time trying to figure out when to access my stand. Many factors play into this decision, such as the time of year, my weapon of choice and the stand I’m going to. Well, here’s a video that might help you make that decision. Shooting a bow is fun and relaxing. Well, most of the time it is. I love slinging arrows in the backyard. However, your D-loop giving out will make a relaxing day of shooting a nightmare. 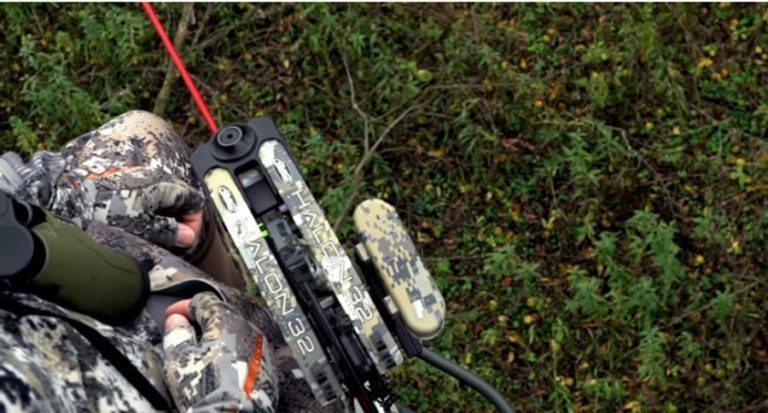 Josh Bowmar was doing a little shooting with his Hoyt bow when he entered a world of pain. Out of nowhere, his bow turned his hand into a flying fist, and he gave himself a right hook right to the face. 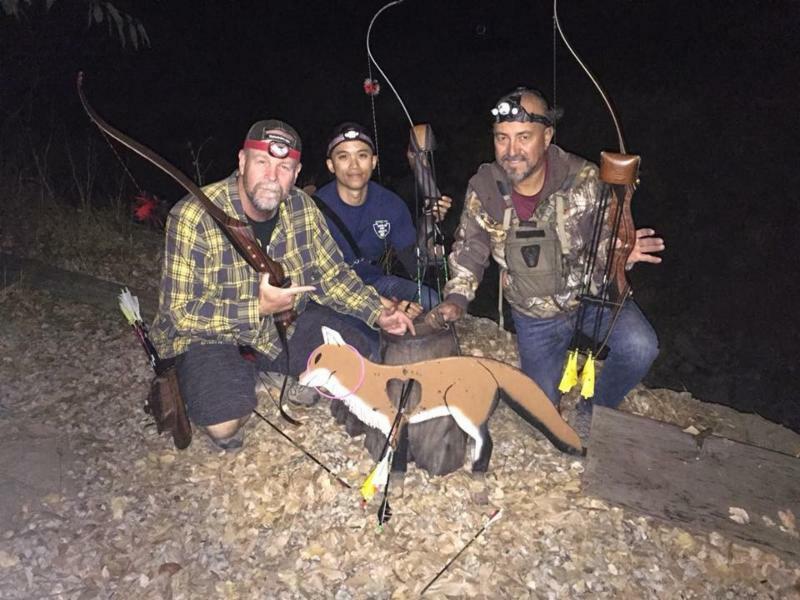 Finding wounded game is a responsibility of every hunter, but you learn some techniques only through experience and those lessons come at the cost of many hours spent on the trail. Rather than having to learn these important lessons the hard way, I’ve compiled them here so you can move up the learning curve quickly.